This post, by Groundwork’s Communications Manager Jacob Wheeler, was first published in March 2017 on groundworkcenter.org as part of the “New Economy Project”—a multimedia storytelling series that highlights talented millennials in the Traverse City region, and raises awareness about their contributions to the local economy and community. Video and photos by Stone Hut Studios. Shelli and Joey DiFranco’s ‘aha’ moment, when the couple realized they wanted to leave Chicago and move to the Traverse City region, happened over a pulled pork sandwich at the Pigs Eatin’ Ribs food truck in the Little Fleet lot. It was a hot day in August 2013, and they followed up the greasy-delicious culinary experience with a short walk to Clinch Park where West Grand Traverse Bay shimmered before them. The northern woods beckoned these Dayton, Ohio-area natives who had known each other since their sophomore year of high school. 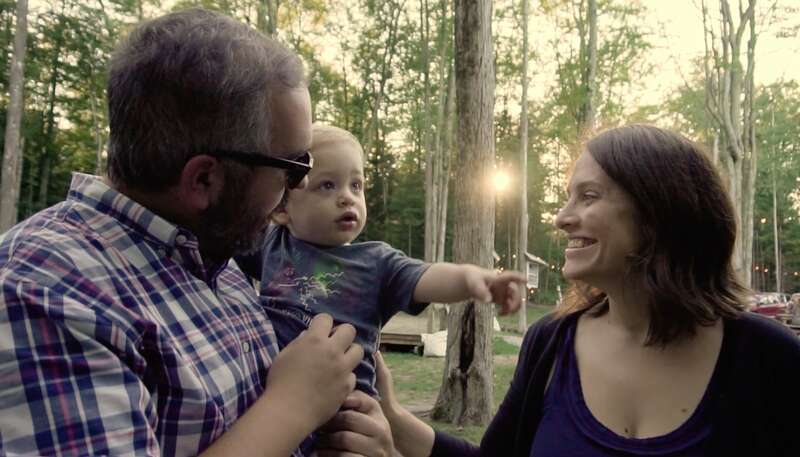 By April 2014—nine months after the ‘aha moment’—Shelli had secured a job and they bought their first home 10 minutes outside Traverse City, in Leelanau County’s Elmwood Township. Shelli initially got a job with Hagerty and that’s what allowed them to move north (she has since moved on to other professional opportunities). In fact, she distinctly remembers where she was and what she was doing on the January day she learned of the job. “I remember seeing it on a job app that I scrolled through every day on my hour-long commute home from downtown on the CTA Brown Line train. The day that I saw the Hagerty job I remember jamming my finger at the screen and saying, ‘This is my job’!” She showed Joey that evening, applied for the job, and started three months later. Hagerty, the world’s leading insurer of classic vehicles (some of which date back to the early 1900s), is based in Traverse City but also has locations in the UK, Germany and Canada. Of the company’s approximately 850 employees, 60 percent are under age 40. 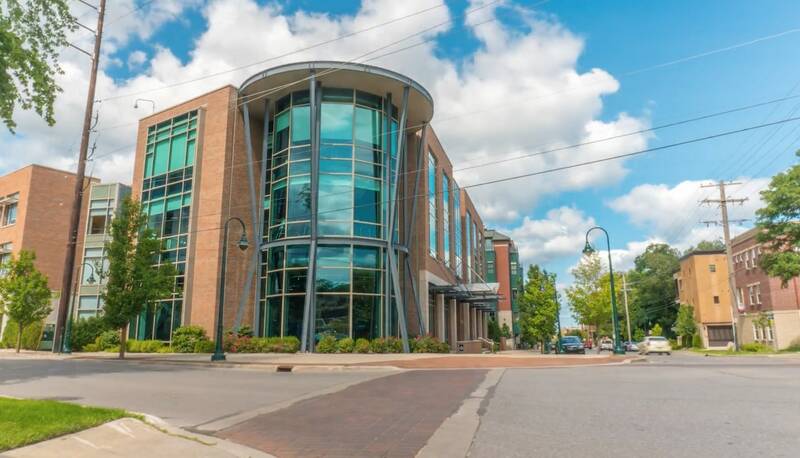 The company’s dynamic and attractive headquarters is next to the Boardman River and all but surrounded by cafes, restaurants and pubs that pumped life back into downtown Traverse City. Classic vehicles are displayed on the ground floor and visible through glass windows; offices occupy the second and third stories. The Hagerty “campus” includes Cavallino Cafe, a workout facility for employees on break, state-of-the-art conference rooms, and great views of the river. Hagerty is also a pillar of the community, and not just because it employs hundreds of young professionals. The company supports local nonprofits and works to boost local economic development, in hopes of attracting other businesses to Traverse City. Shelli’s husband Joey, a graduate of Savannah School of Art & Design, always sniffs out opportunity, and always finds work. In Chicago he built sets at various digital marketing agencies and video productions houses. And in Traverse City he started his own company, Timber Digital, doing freelance video and marketing work. Eight months ago TentCraft hired him as a digital marketer. Together with their toddler, team DiFranco loves to graze Saturday mornings at the Traverse City Sarah Hardy Farmers Market, walk or bike the Leelanau Trail near their house, spend an afternoon next to the outdoor campfire at the Suttons Bay Brewery Hop Lot, or hike and camp in the Sleeping Bear Dunes National Lakeshore. The outdoor, active lifestyle is what drew the DiFrancos to Northern Michigan, and it’s a great selling point for attracting more young professionals to the region. But she cautions against viewing her new home just as a tourism mecca or a seasonal spot that folds up and hibernates when the weather turns. 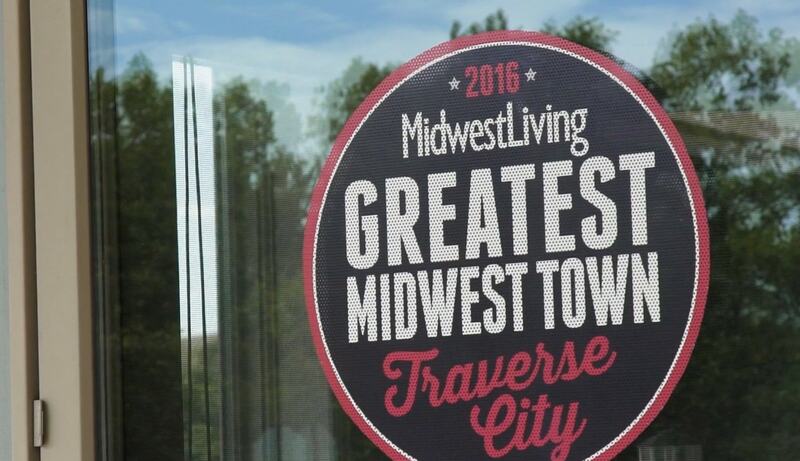 “One challenge for Traverse City is to break the idea that we’re just a tourist destination,” said Shelli. “We’re so much more than that. Yeah, it’s great to come in the summer, or if you ski in the winter, but it truly is a year-round place where we love to be. It’s a really great place for young people to come, build careers, and have opportunities to grow. Interested in Northern Michigan economic development resources? Click Here! Interested in Doing What the Difranco’s Did? Check out our Live Here and Work Here pages.